MISSION AND MINISTRY | How do we deal with the emotional deluge of controversial and heart-rending issues that confront us daily? What purposeful tools can we learn that will help us to process and manage the daily news, or even the fake news, and our emotional responses? At LMU, the Center for Ignatian Spirituality serves as a forum where important current social and spiritual issues can be discussed with mutual respect and dialogue. Faculty and staff members have the opportunity for reflection and discussion in an environment where we are all equal. 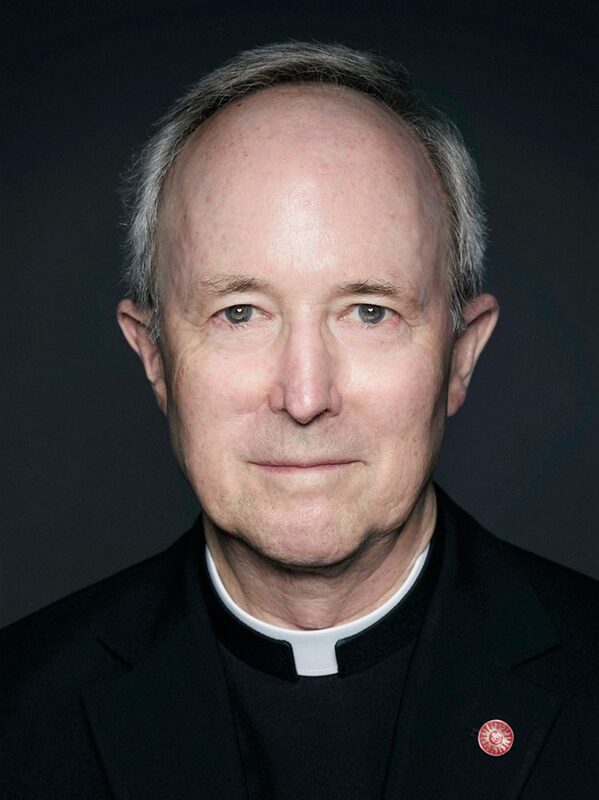 In keeping with the Ignatian spiritual vision of helping others, Father Randall Roche, director of the Center for Ignatian Spirituality, is committed to helping people identify characteristics and values of discernment which will help shape their professional and personal development. The key to coping with the immense amount of incoming information and the resulting emotions is through the process of discernment characteristic of Ignatian spirituality. We learn to weigh the facts and our feelings, which ultimately leads to better choices that best fit us individually. What a great concept. The Center for Ignatian Spirituality is an experiential resource for faculty and staff offering opportunities to develop careful, reflective decision-making processes that will lead to growth in the office, the classroom, the community and personal relationships. Ignatius of Loyola, the founder of the Society of Jesus, had a deep conviction that God desires a personal relationship with us all. The center can enable us to sort through and process the complex realities of this diverse and intricate world and help us to attain a peaceful mind and heart. We invite you to join our upcoming event, “Good Practices for Managing Bad News,” on Thursday, Feb. 21, 2019, from 10-11 a.m., co-sponsored by Human Resources. http://mission.lmu.edu/cis/events/. This and other Ignatian programs and events can be found at https://mission.lmu.edu/cis/. Fr. Roche welcomes conversations in the privacy of his office. If you would like to contact him, please email Ignacio@lmu.edu.